E-commerce is granting new, global opportunities for businesses and consumers. Recently, our co-founder Laura Behrens Wu joined Jack Ma, executive chairman of Alibaba Group; Christine Bliss, president of CSI; and Tunde Kehinde, co-founder of Lidya, in a panel at the World Trade Organization (WTO) Public Forum 2018 to discuss the effects and possibilities of international e-commerce. For background, Shippo serves 35,000 small and growing e-commerce businesses, so we dug into our user data to see if these businesses are using tech to help grow their presence abroad—and we noticed a few interesting trends. More than 8,000 businesses—or 27 percent—use Shippo to export from the U.S. to one or more countries. To compare, in 2015, fewer than two percent of our customer base was exporting to one or more countries. Now, 12 percent are shipping to three or more countries. And, eight percent are shipping to five or more countries. Although we’ve seen the exponential growth of customers going global on our platform, less than five percent of U.S. small businesses are exporting, according to estimates from the International Trade Administration. The path to becoming an international brand can be challenging—especially for small businesses. 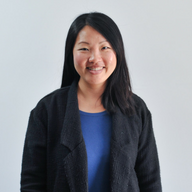 Barriers include language difficulties, hurdles with customers, and the cost of shipping. But the promise of a broader, more diverse audience (and the sales opportunities it brings) far outweighs the obstacles. In fact, international trade is becoming increasingly easier, in part because e-commerce has allowed for a deeper connection and trust between buyer and seller. Laura and Jack shared this sentiment during the WTO panel. There’s never been a better time to expand to international audiences. As a small business, you can leverage your unique, personal brand to connect with customers around the world and grow your business. 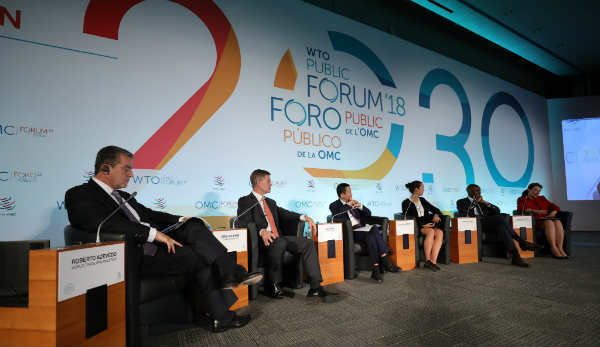 For more highlights from the WTO Public Forum 2018 panel, you can listen to the panel discussion here.